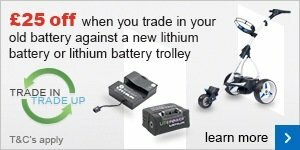 We'll give you £25 when you trade in your old battery against a new Lithium one, or a trolley with a Lithium battery. Lithium offerings are quicker charging, last longer and work out cheaper in the long run - so this is the perfect time to say goodbye to Lead Acid. 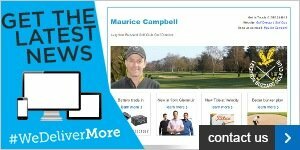 Motocaddy has now made Lithium even more affordable, so this really is a fantastic opportunity to take advantage of this offer. Watch the video below to find out why so many people are upgrading from Lead Acid to Lithium, plus you can view our video to learn more about the updated Motocaddy S Series line. Read on for full terms and conditions. Available from Monday 4th April until Sunday 15th May 2016. 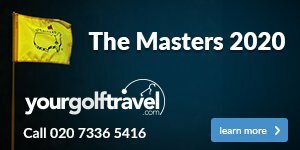 Only available on Motocaddy or Litepower lithium batteries.